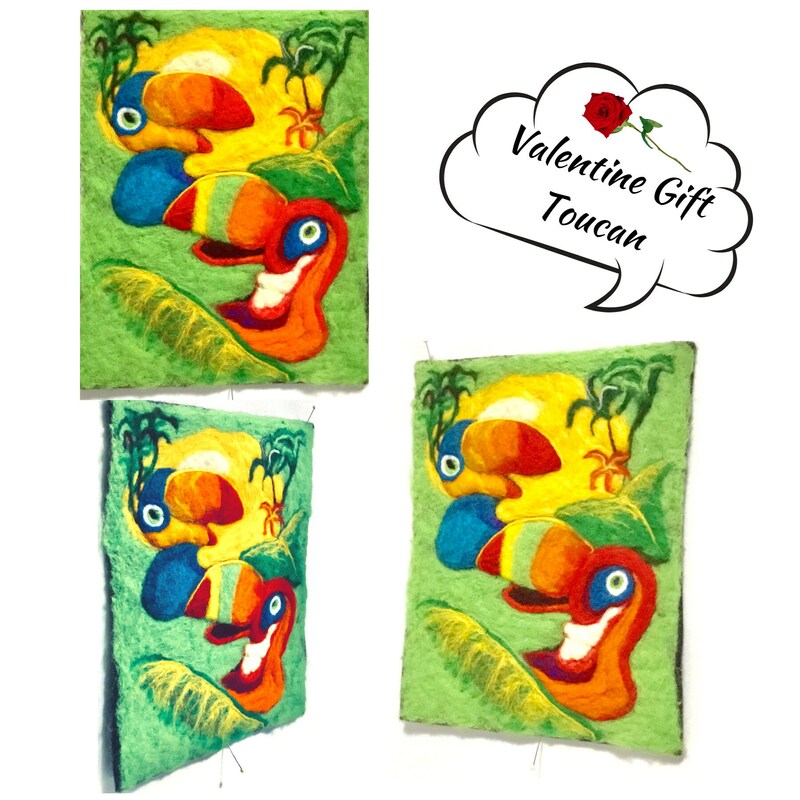 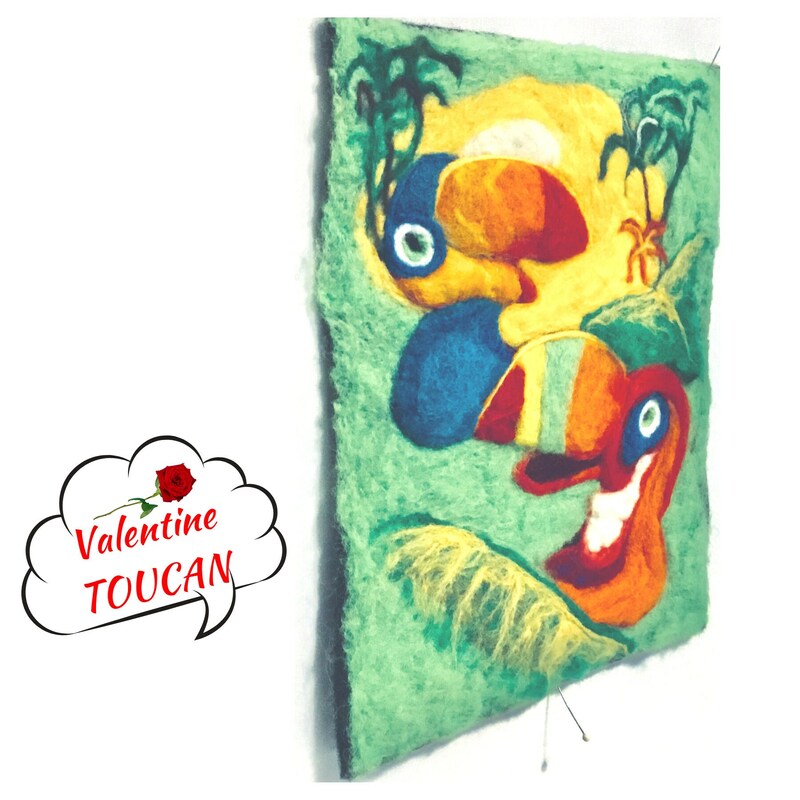 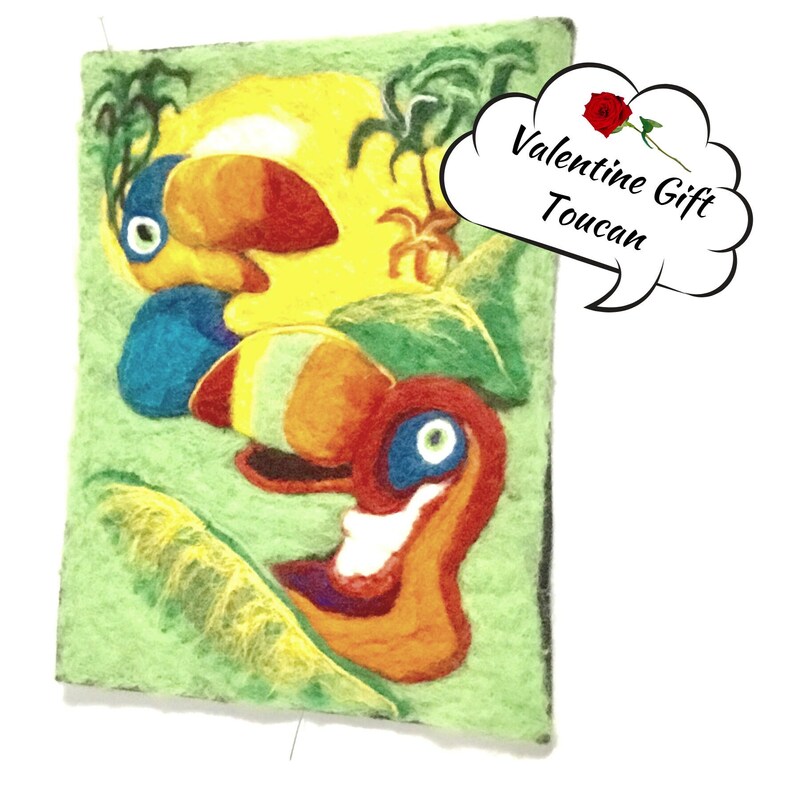 This Toucan painting would be a wonderfl Valentine Day Gift! 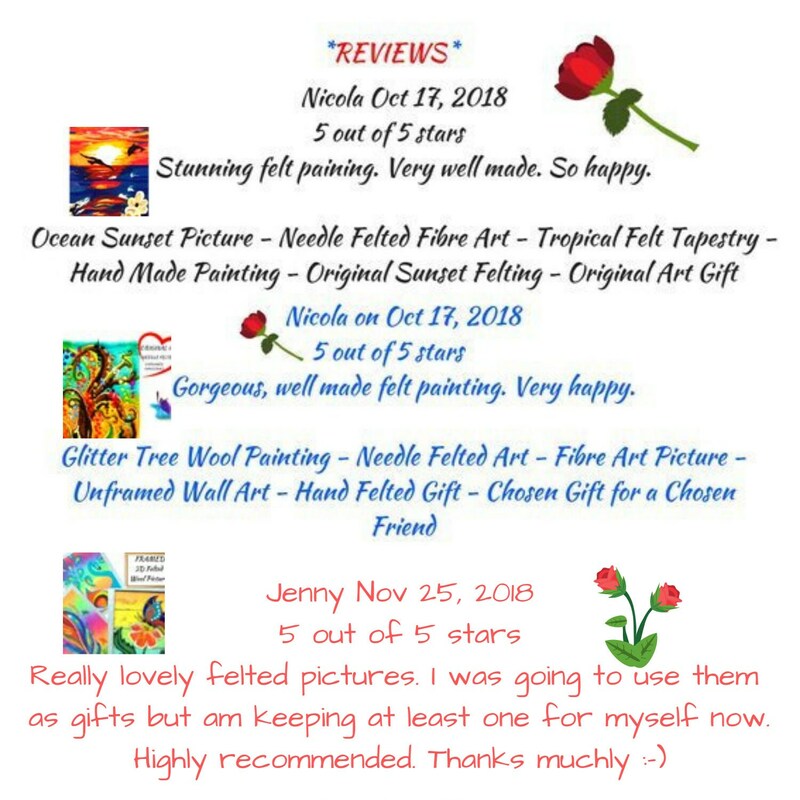 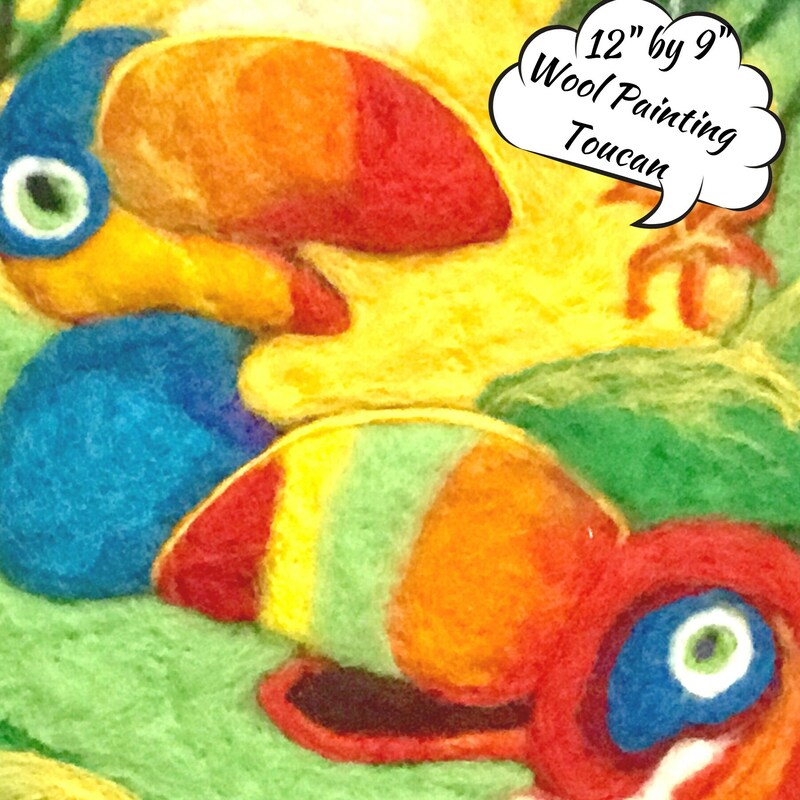 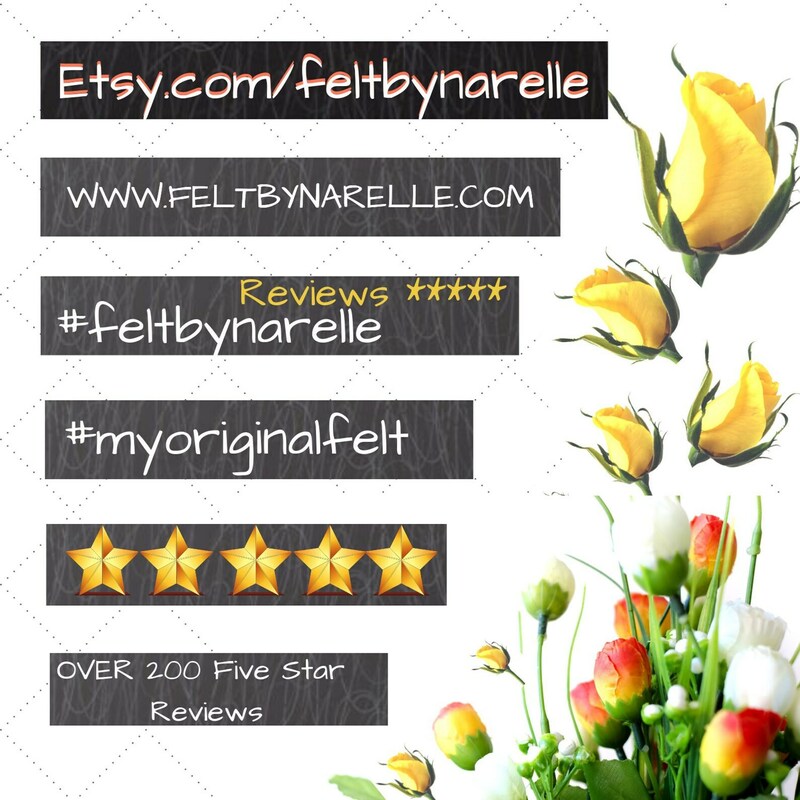 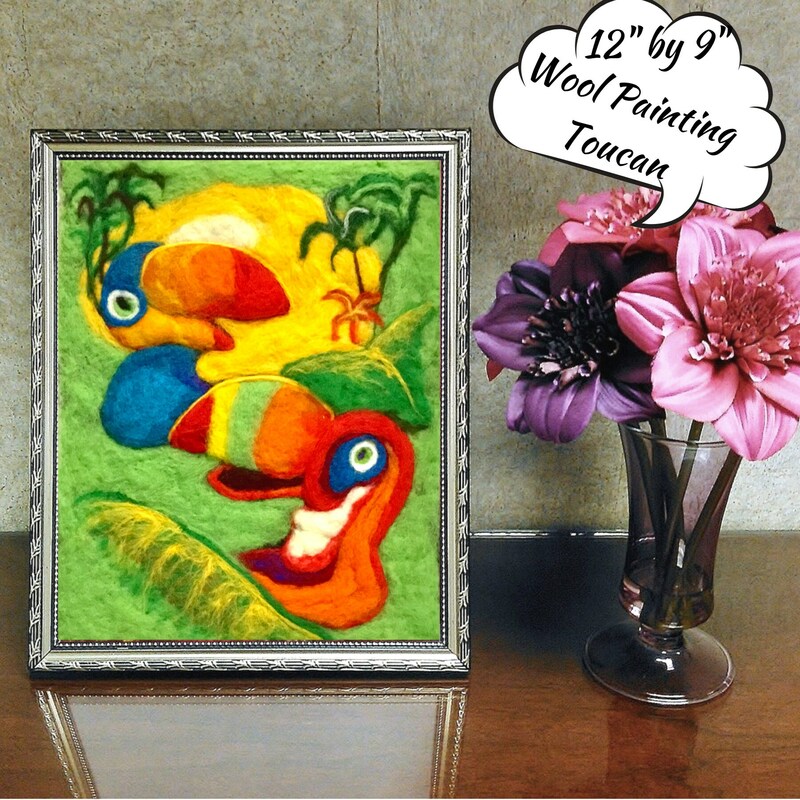 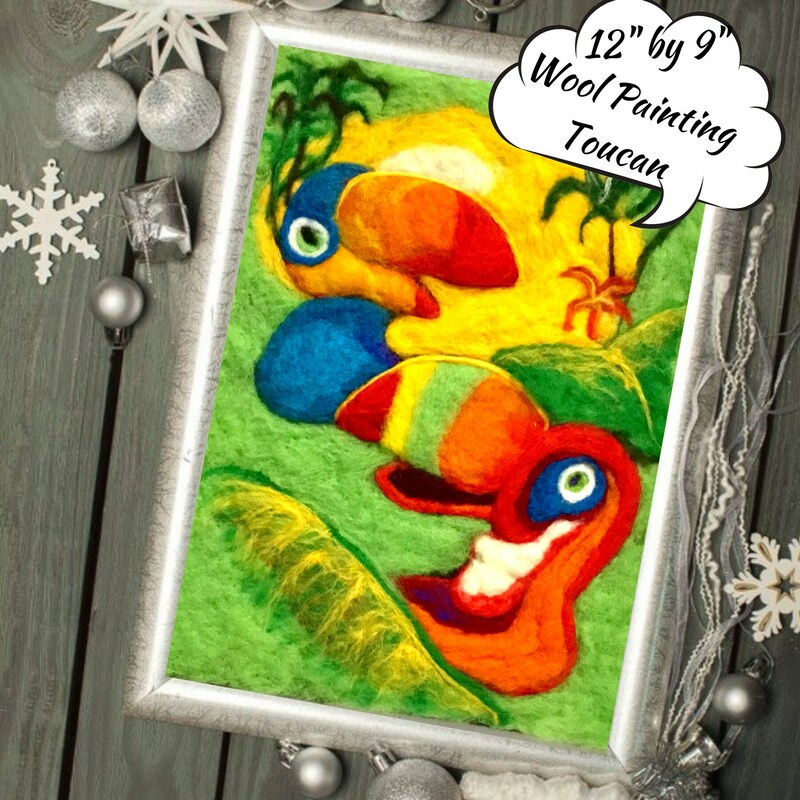 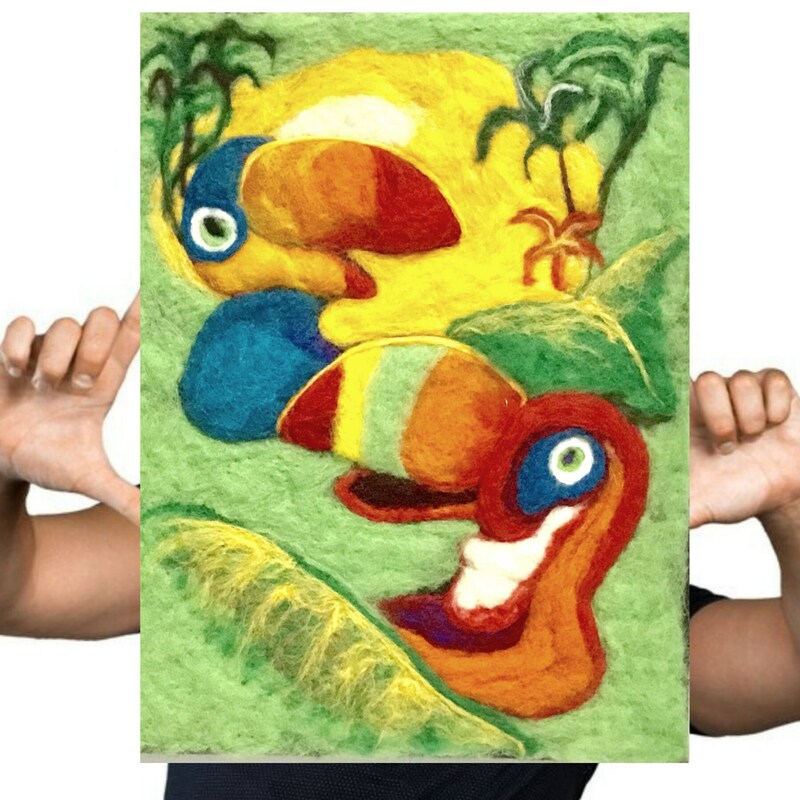 Beautifully needle felted by hand this unique 3D wool picture would enhance any decor with its fabulous bright colours in Merino wool. 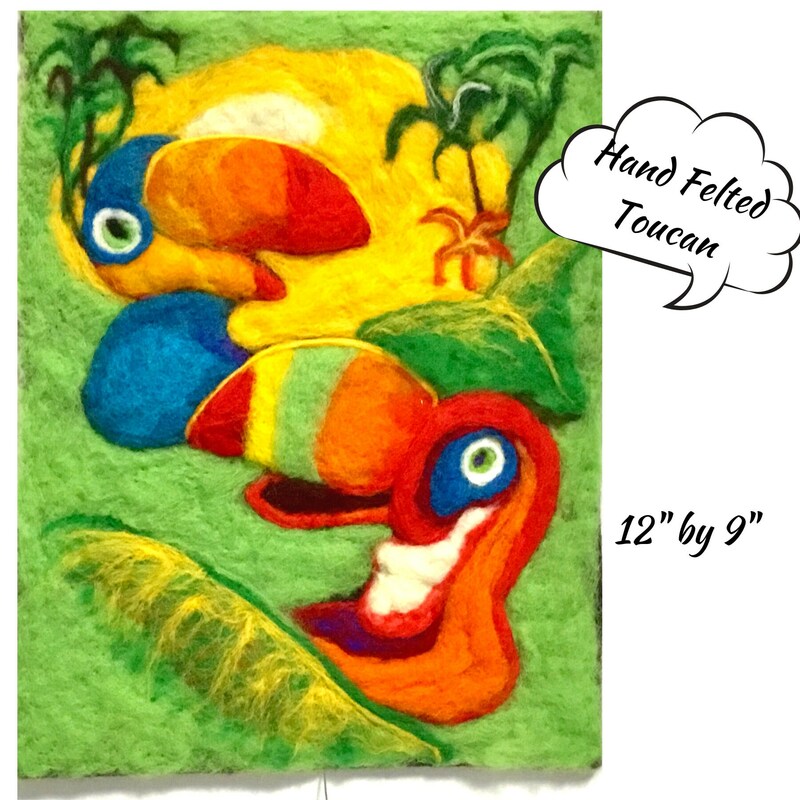 Size is 12" by 9"